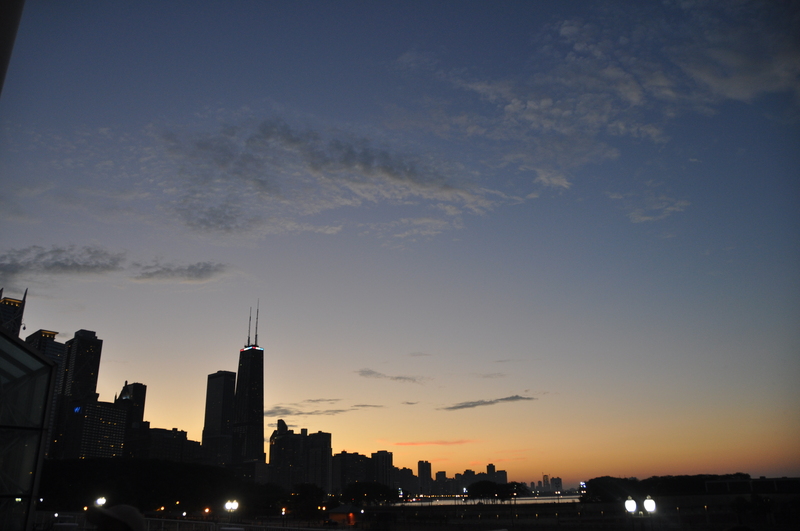 A view of the sun setting behind the skyline from Navy Pier. This entry was posted in Chicago, Life, Skyline. Bookmark the permalink.